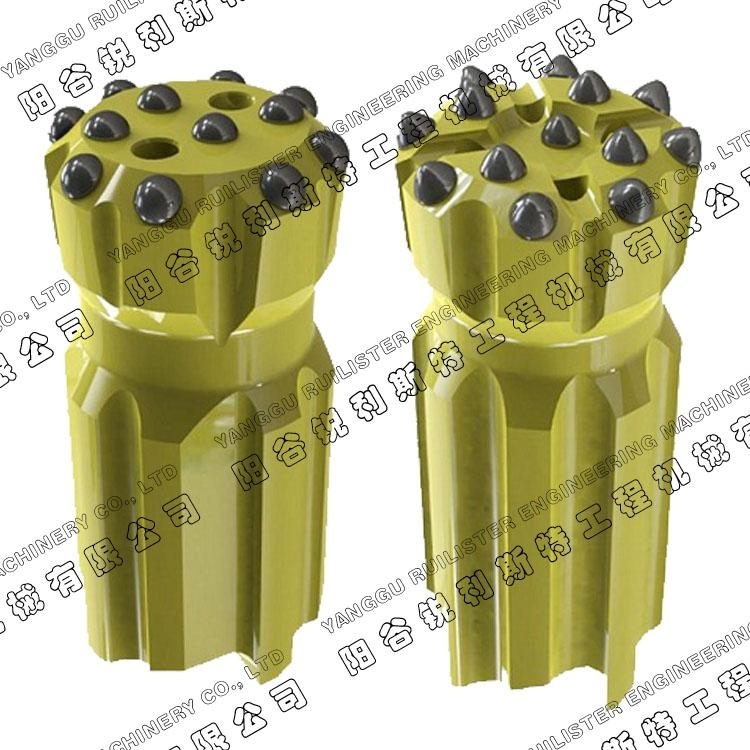 We produce all kinds of rock drilling tools, such chisel bits, cross bits, button bits, shank adapter, coupling, tapered rod, extension rod, dome bits for reaming, DTH adapter, etc. 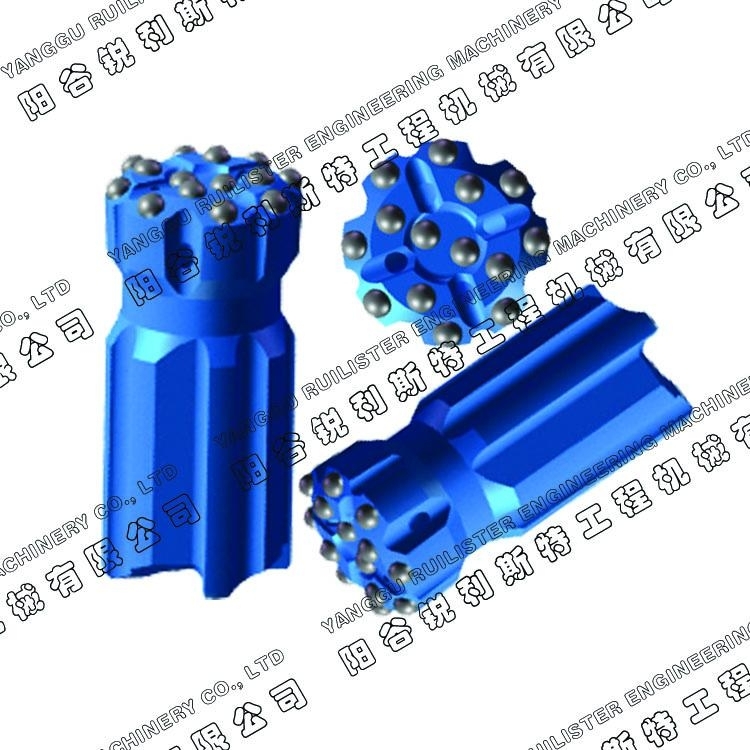 The R25 series button bits diameters are from 41mm to 45mm. The R28 series button bits diameters are from 37mm to 48mm. The R32 series button bits diameters are from 41mm to 76mm. The R32 series retrac button bits diameters are from 45mm to 76mm. The R32-Hex 28-R28 drill rod length is from 2400mm to 4920mm. The R38- Hex 32-R28 drill rod length is from 2900mm to 4310mm. The R32-Hex32-R28 drill rod length is from 3090mm to 4310mm. 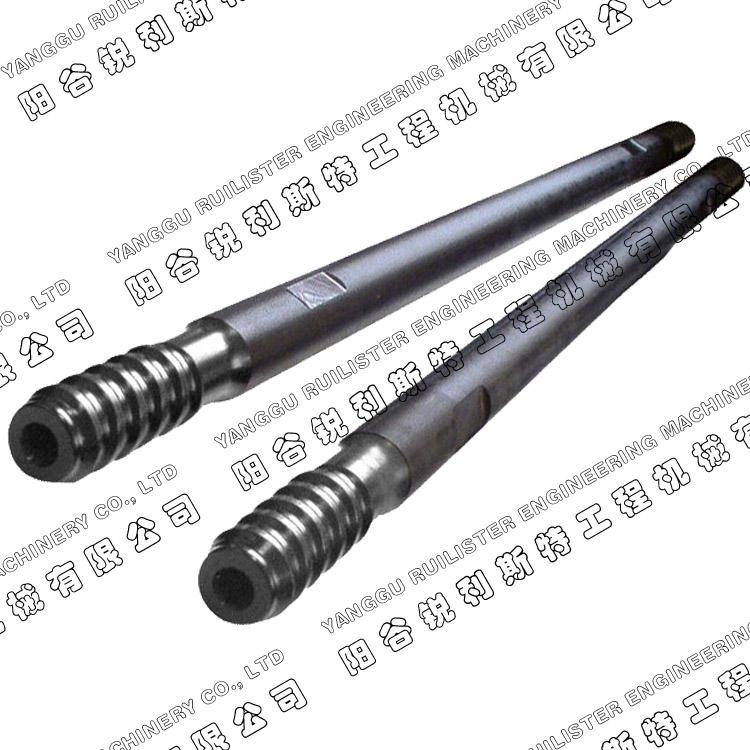 Also we can produce the drill rod according to customer's demand. The R25 Coupling sleeves length is from 155mm to 160mm. 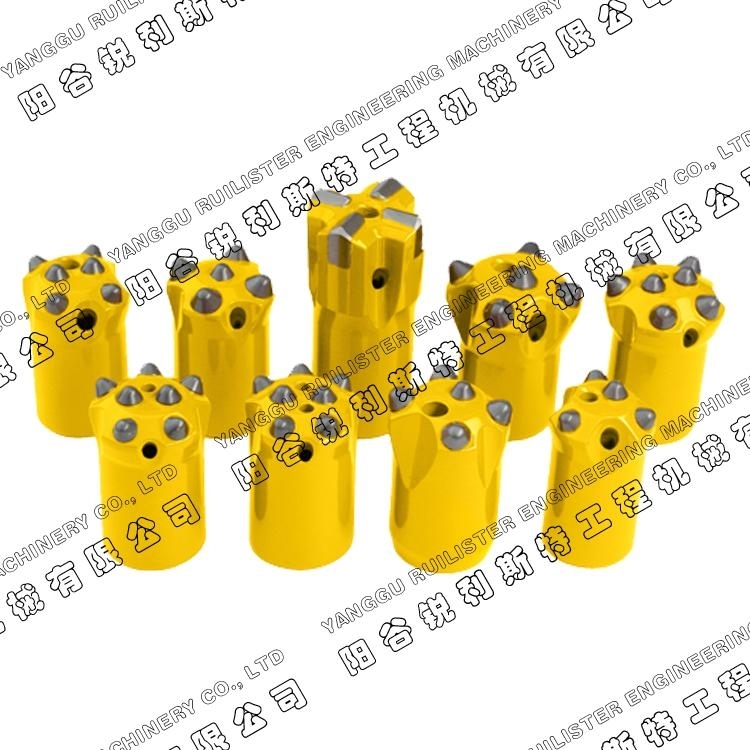 The R28 coupling sleeves length is from 150mm to 170mm. The R32 coupling sleeves length is from 170mm to 190mm. Also we can produce the coupling sleeves of different diameters. 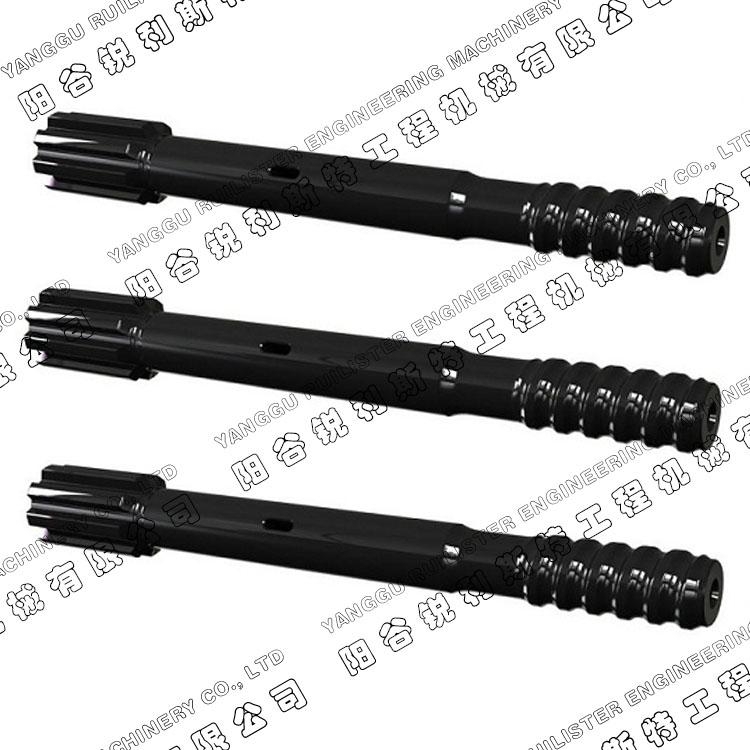 such as R25-R32, R25-R38, R25-T38, R28-R32, R32-R38, R32-T38, R32-T45, etc. 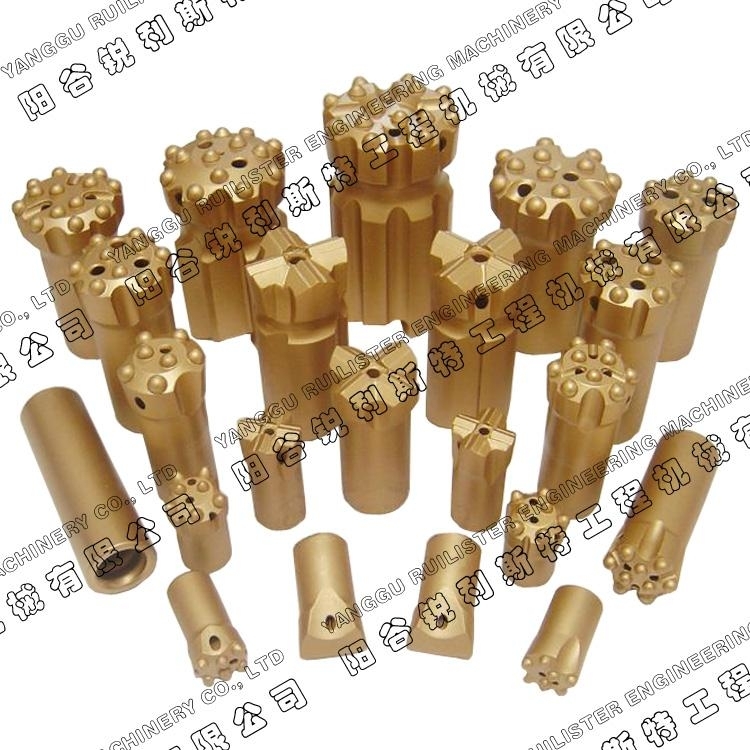 We supply the R3212, R32, T38, T45, T51, T60, ST58 and ST68 series bench drilling tools, such as button bits, retrac button bits, shank adapter and drill tube, etc. 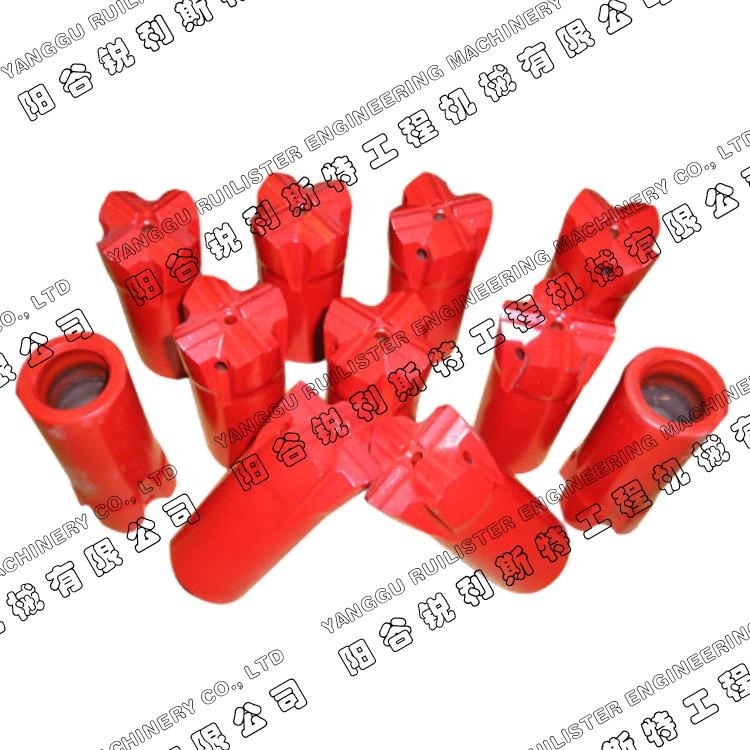 We produce and supply the R32, T38, T45, T51, T60, ST58 and ST68 series shank adapters, our shank adapter can replacement of Atlas copo, Boart, FuruKawa and sandvik's products, also we can produce the shank adapter according to customer's demand.